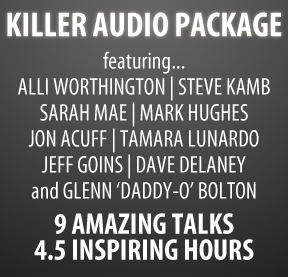 Get the Killer Tribes Audio Package for just $5 through Wednesday! Are you in the process of building a blog or business? If so, you’ll want to JUMP on this offer. Because it’s crazy… and by that, I mean it’s crazy good! My friend, Bryan Allain, is offering the entire audio package from the to my readers. Yes, seriously. It’s $35 right now, which isn’t a bad deal at all. But if you use coupon code MSM at checkout, you’ll get $30 off the price, making it just $5! I told you it was a crazy good deal! Everyone I know who attended has said similar things. And that’s why I’m very stoked that I’ll be attending and speaking at . It will be held in Atlanta, Georgia on March 23, and I’d love to meet you there. The early bird special pricing of $129 ends on Tuesday (January 15, 2013), so , if you’re thinking of going. I think is the perfect conference for women bloggers and mom bloggers because we make sure to provide a balanced mix of inspiration and education with our speaker lineup. Too much inspiration without any practical teaching can get you fired up, but without learning new tools or implementation strategies you’ll be in the same place you were before when the pep talk fades. Conversely, too much education without hearing the success stories of others makes for a dry and boring conference. At some point the firehose of practical tips and tricks gets overwhelming and you just want to crawl into a hole and go to sleep. 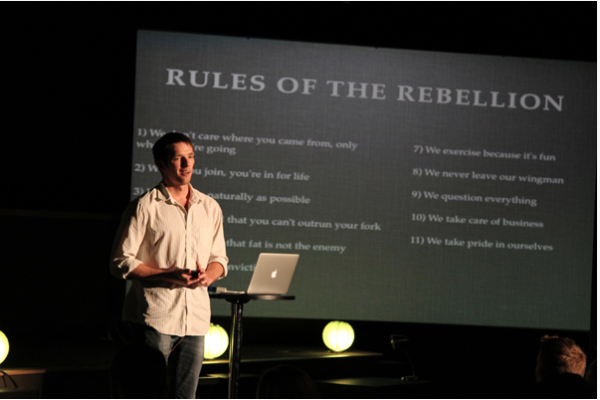 What makes our conference special is that balance of inspiration and practicality from the stage, and the fact that we bring speakers in who we know are going to deliver on each of those fronts. We don’t bring in big names just to sell tickets, we bring in people with real stories and real know-how who will connect with the attendees. On top of that, being a 1-day conference keeps the ticket prices lower and allows folks to keep travel expenses lower if they so choose. We also put a premium on making time to connect with the other conference goers, which to us is what any good conference is really about. So, don’t delay, before the early bird pricing ends tomorrow. And then, don’t forget to , making the entire set of downloads just $5! This special offer is only valid through Wednesday, January 16, 2013. Thank you! My wedding anniversary is this week and this will make a perfect gift for my husband. He loves listening to lectures about leadership, entrepreneurship, etc. on his long drive to and from work. This may be a silly question, but are these conferences for men and women, or just women? This conference is for both. I just focused on gals since they make up more of my readership. 🙂 My husband is coming with me and I think they will probably be an equal mix of guys and gals at this conference. I love to hear motivational talks , especially yours ! Can’t wait to download to my ipod and listen. Will this help with the starting stages of a blog (like set up) or the further along details like mainting and gaining readers? I just started mine, but haven’t made a first post yet (out of fear that someone might read it -ha) and could use some more tips on getting started with the basics. Generating a revenue, organizing my labels, making labels blah blah blah. Check out BloggingWithAmy.com for step-by-step blogging tutorials and help. I just bought this package and I can’t wait to listen. Thank you! I know the problem! They all look so fantastic that it’s hard to choose! Probably not, because I don’t know of a location that would work to do one there, unfortunately. 🙁 But that would be fun sometime! This is an amazing deal. I purchased the set when it first released and it’s amazing. I wasn’t disappointed when I paid $35. You won’t be disappointed when you pay $5.